An electrician is one of those professions that are needed the most, plumber, cleaner and appliance repairer being the others. We can’t do things like opening the switch board and taking care of the things that have gone wrong inside it. In fact, even when there’s a power failure and the reasons are unknown, we can’t jot all our courage to open the switch board and checking things in there. Whenever there’s a major short circuit with a spark, we tend to get scared and be conquered by fear till the time the problem is not checked by the electrician. But have you ever wondered what all tough things an electrician has to go through in order to protect you from being harmed and let you enjoy the advantages of electricity? Let us help you know these four things that every electrician does for you. An electrician has to climb up and down the ladders and staircases a lot of times, when it comes to repairing any electricity cable or wires that require repairing. They undergo a lot of physical strain, which even leads to several health related problems to them at a later stage of their lives. These things are done for you so that you can enjoy comfort and peace under the brightness of the bulbs that work on electricity. At times, the electrician is expected to work in cramped spaces or even on scaffolding. He has to get indulged into a lot of bending and constantly being in same positions to solve the electrical problems. He also needs to squat and bend on his knees to make connections in locations that can’t be accessed by being in standing or sitting positions. Electricians spend most of their times being outside on visits, either at commercial places or at the homes of clients. Moreover, they need to spend their times on sites where there’s constant noise. Even when it comes to the installation of electricity in under construction sites, they are exposed to noisy environment constantly. The drilling and digging sounds constantly bang in their heads, making them go through severe migraines or headaches. However, they still work as it is their profession. They don’t even have any rights to place complaints against such noises as it is a part of their job to bear such things. Whenever there’s an urgent situation of a power failure, no matter what time it is, the electrician is expected to be true to his job and respond to the problems of the client of his firm. He needs to go to the sites to make emergency repairs no matter how snowy or rainy it is. Even when he is hired by a firm, this is stated to him as a part of his job that he needs to be present whenever required. 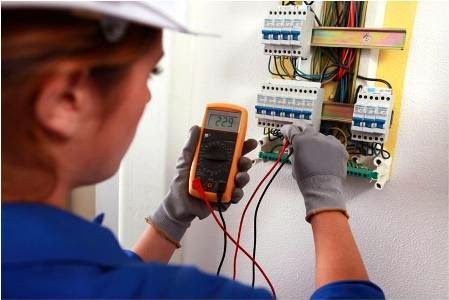 If you opt for professional electricians from names like Birckhead Electric, you would get the services at any hour of the day. Miley Hopkins is a well known name in the world of content writers. She has more than 2000 articles published in different websites. She respects Annapolis Electricians for their hard work and spontaneous works.